Charles Ira Skiles, 77, of Soddy-Daisy, TN, passed away April 10, 2018. He retired from R.L. Stowe. Charles was preceded in death by his parents, Irene and Ira Skiles along with one brother and four sisters. Charles is survived by his spouse of forty seven years, Donna Skiles; his son, Chuck Skiles; his granddaughter, Kaitlyn Skiles; his great-granddaughter, Grayson Stead along with several nieces and nephews. His family wants to offer a special thanks to Wanda Flemings and to Hospice of Chattanooga for all the love and care they have provided. 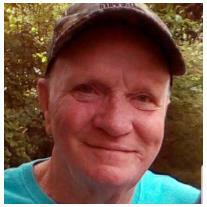 Visitation is 6:00 P.M. to 8:00 P.M. Thursday at Williamson & Sons Funeral Home. There will be a private service and burial at a later date.